Being a dad of twins has made O'Connell do something he had once sworn he would not do: dress his twins in identical outfits. “I just can’t help myself,” the Defenders star, 36, tells Scholastic Parent & Child in their Dec./Jan. issue. Terrible Two's aside, those are two adorable little girls and one handsome looking family! 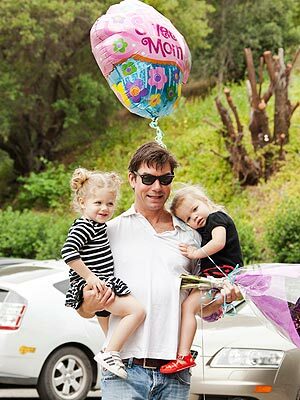 You can see more pics of the Romijn-O'Connell clan here.